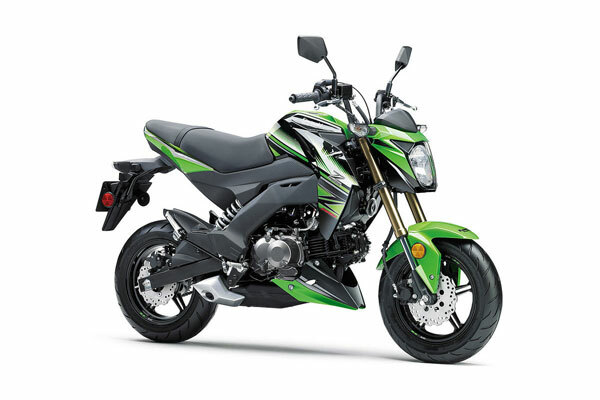 With the compact and lightweight chassis, the Z125 PRO KRT is Kawasaki?s nimblest Supernaked models to date. Ideal for navigating the urban jungle, it comes equipped with features like an inverted front fork, offset laydown rear suspension, and front and rear petal disc brakes ? a clear indication of the high level of riding performance intended for these models. With aggressive styling worthy of the ?Z? name, reflecting their sharp, sporty performance. The Z125 PRO KRT Replica offers an exciting taste of the Z world. Learner Approved Motorcycle.^^Offer ends 30/04/19^^Please note this price is for Queensland only. This price may not include all features and colour options. Please contact your local Kawasaki dealer for location specific pricing.